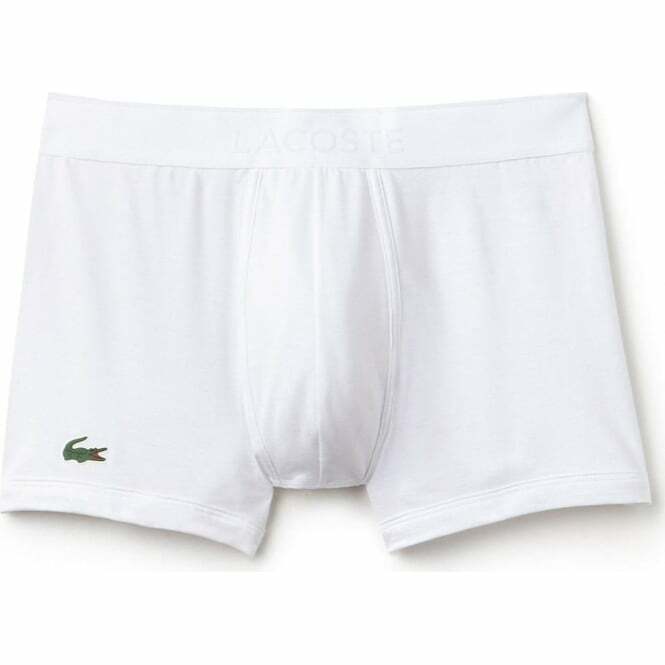 This Lacoste Mens Boxer Trunk is made from 47% Pima Cotton, 33% Modal, 14% Cotton & 6% Elastane. Our Collection at Boxers and Briefs contains only the highest quality Lacoste Mens Underwear. One of our current ranges is the Lacoste Micro Pique L.12.12 collection. Lacoste's Micro Piqué L.12.12 line brings you trunks in soft Pima Cotton and Modal. Everyday essentials that show your style in the locker room. 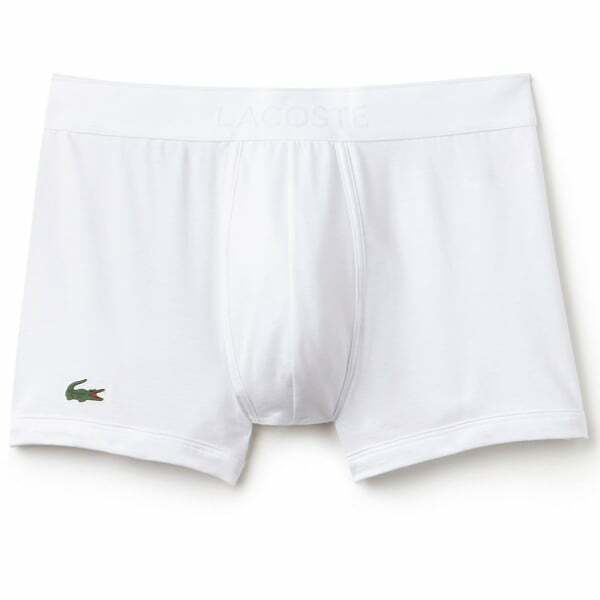 In this range we have a White Lacoste Micro Pique Cotton Modal Stretch Boxer Trunk, which is available in multiple sizes ranging from Small to Extra Large.